Dashboard symbols are designed to let the driver know what's going on with the vehicle while it's in operation. These symbols communicate with the driver about the vehicle's engine, the gas and oil levels and other mechanical information. Knowing how to read the symbols can ensure the vehicle is operated safely and efficiently. 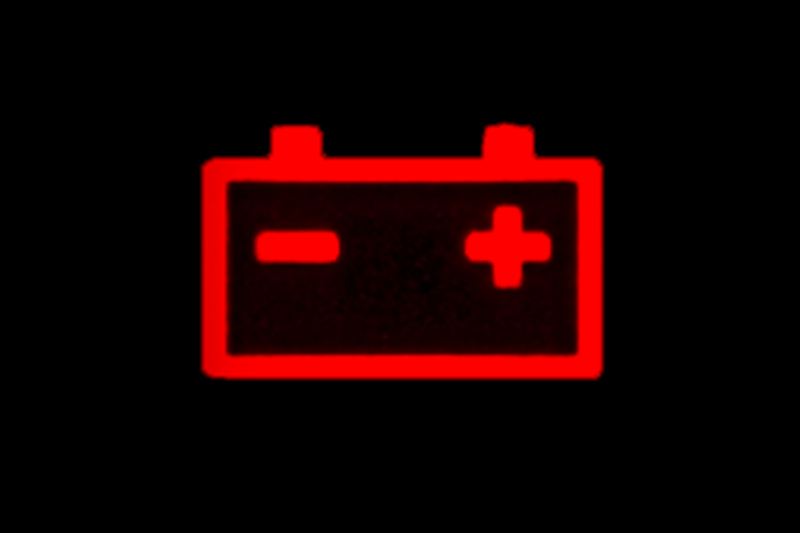 This symbol typically shows an image of a car battery with a plus and minus sign on it. When this symbol lights up, it indicates that there is a problem with the battery. The battery may not be receiving electrical charges correctly and may need to be charged or replaced. 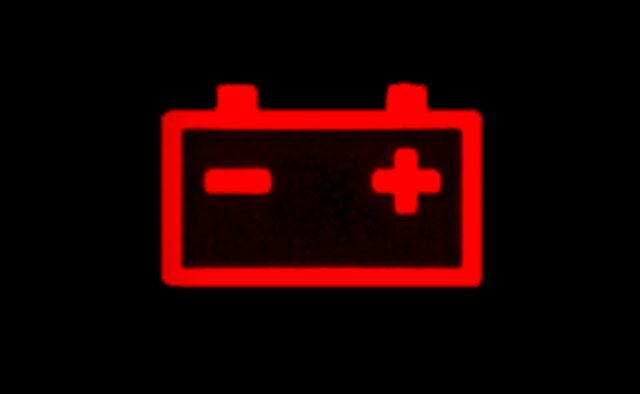 Be sure to have this checked as soon as possible to avoid getting stranded: Your car will not start if the battery is dead. 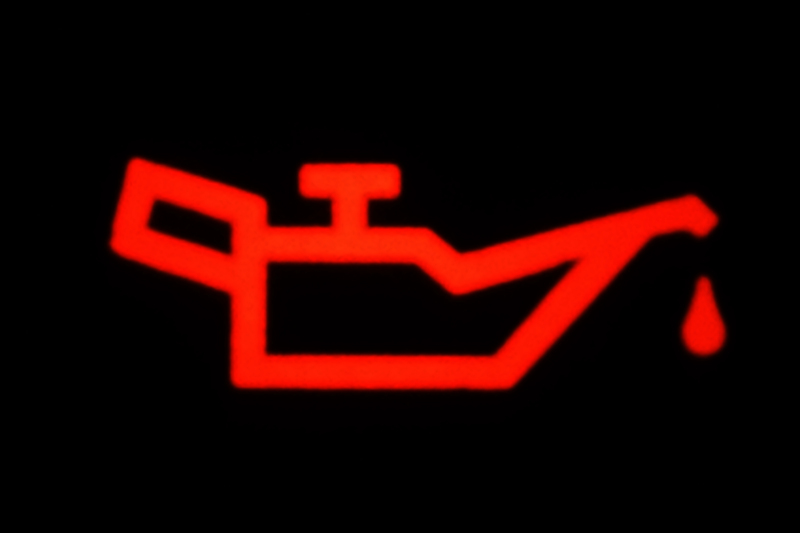 This symbol lights up when a vehicle needs oil. The symbol pictures an oil lamp and a drop of oil. 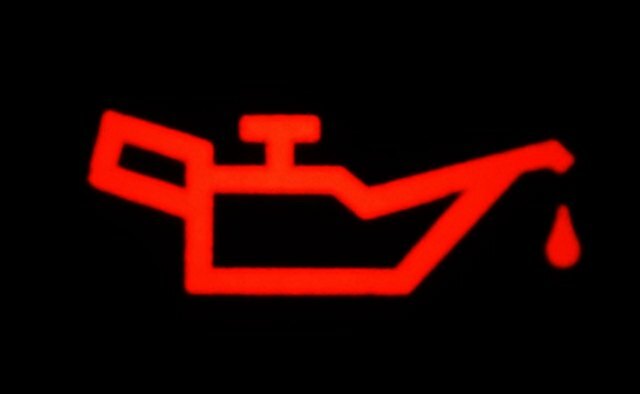 When this symbol lights up, it is imperative to check the oil level and add more if necessary. Your engine can seize, or stop functioning, if it has no oil. 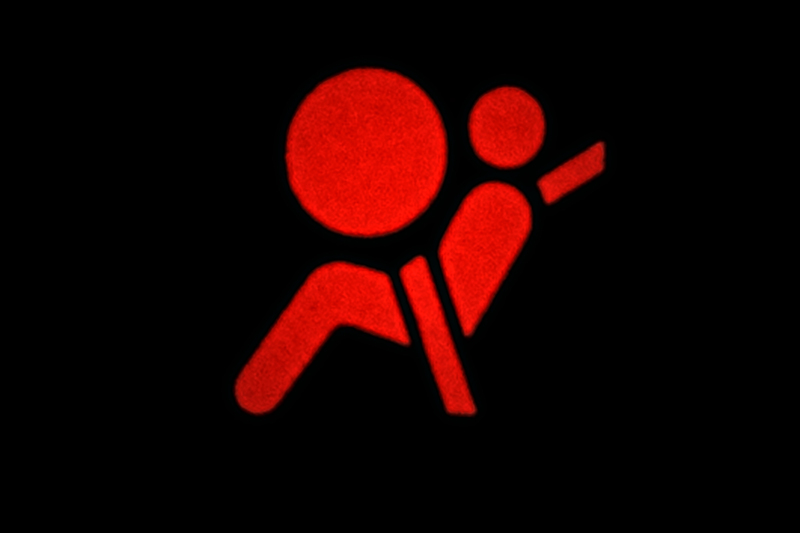 This symbol shows a person sitting in the front seat with an airbag deployed across his chest. When this light comes on, it usually means there is some problem with the airbag and you must bring your car in to be serviced. This symbol, a picture of a gas pump, indicates that your gas level is low. Usually this light comes on when you have enough gas left to allow you to drive for at least 10 to 20 miles. 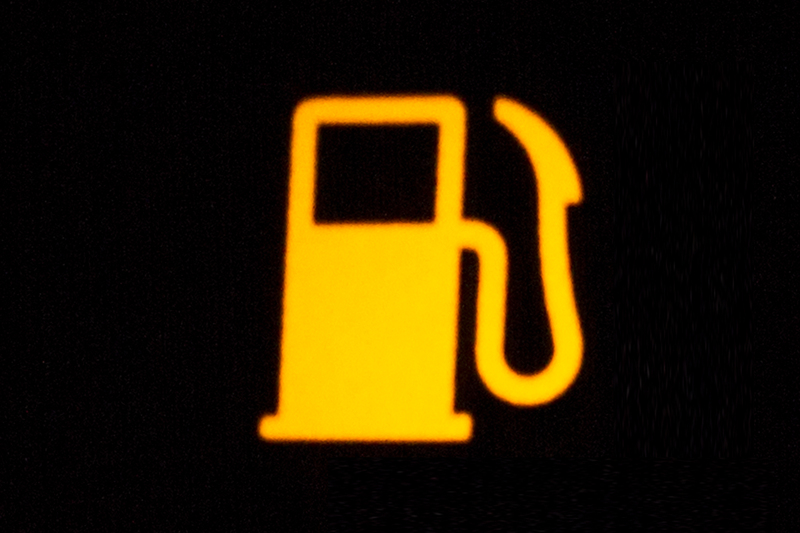 You must refuel your vehicle as soon as possible after seeing this indicator to avoid running out of gas. 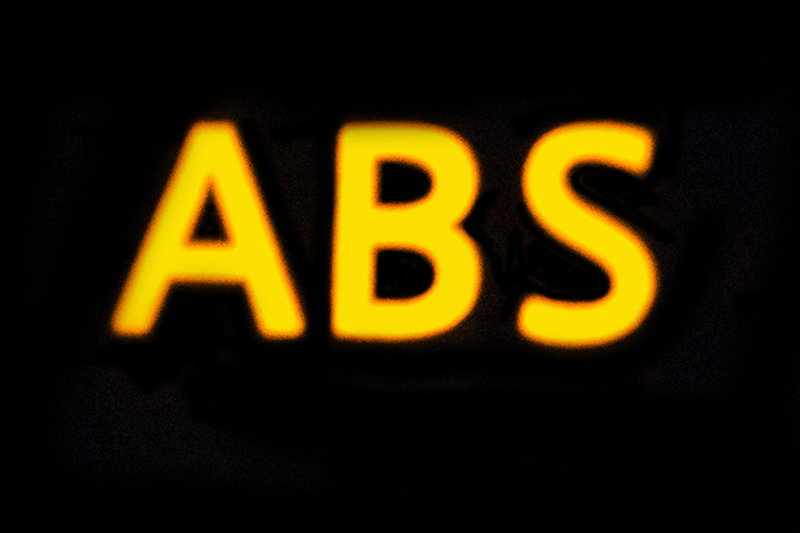 The ABS symbol lights up when there is a problem with the anti-lock brake system. 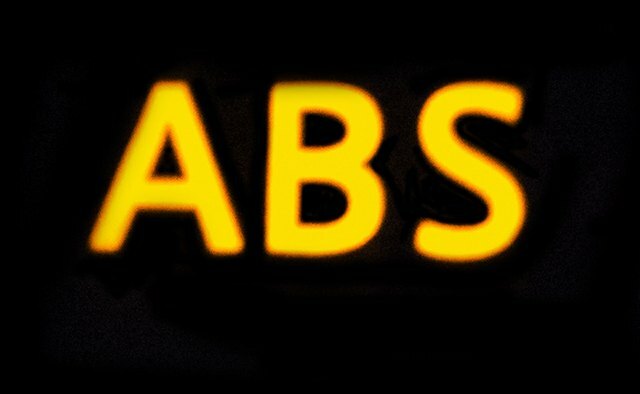 In most cars, this symbol has the three letters "ABS" surrounded by a circle. This light typically comes on each time you start your vehicle, but if it does not disappear within a few seconds, you may have something wrong with your brake system. This light depicts an exclamation point inside two circles. It comes on when there is a problem with your brakes. 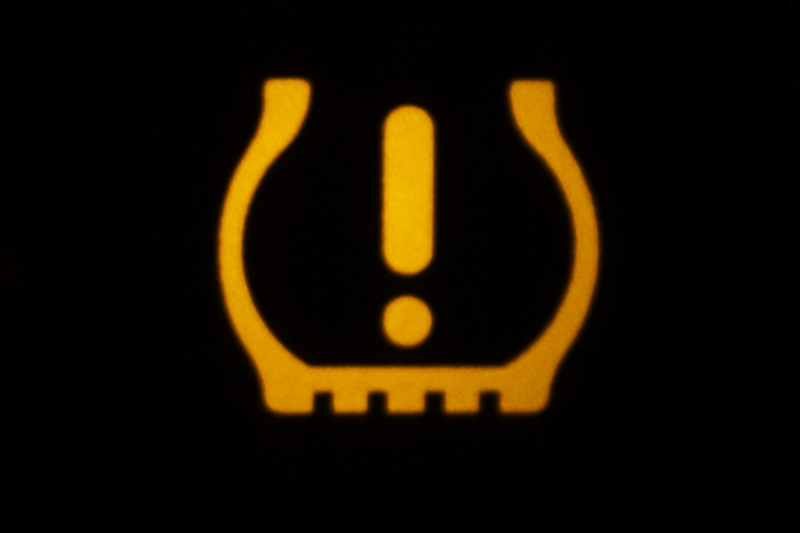 It is important to have your brakes checked when this light appears. 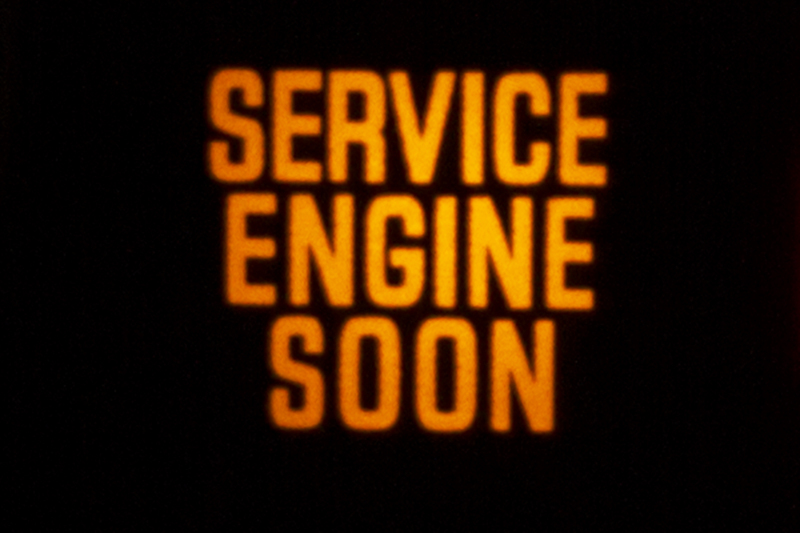 This symbol, which looks like an engine, is the on-board diagnostic indicator. It lights up when there is a mechanical problem with the engine or the level of emissions coming from your vehicle. You should take your vehicle in to be serviced when you see this symbol light up. 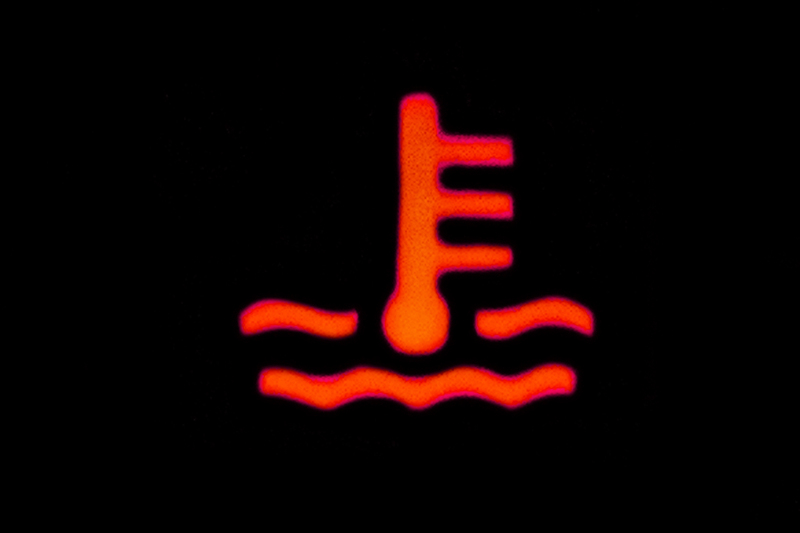 This symbol, depicted as a thermometer or temperature gauge, lights up when your vehicle is overheating. 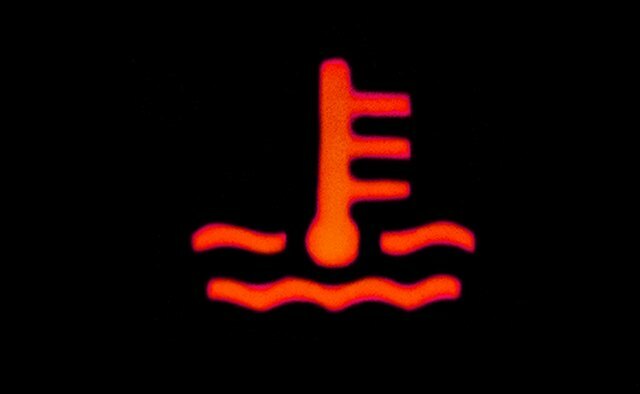 You must stop your vehicle if it begins to overheat and add water at once. Overheating can cause irreparable or expensive damage to the engine.